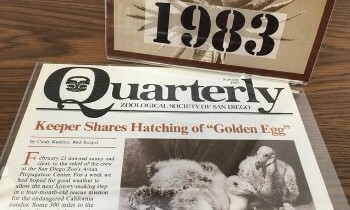 New@SDZGLibrary is a monthly update from the San Diego Zoo Global Library. What Are We Reading at SDZG? What Are We Writing at SDZG? 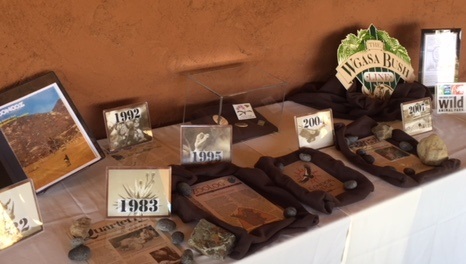 On February 23, we had the pleasure of sharing a sampling of Safari Park historical memorabilia at Bob McClure's retirement party. Can you find the 25th anniversary pin and a piece of the original monorail track? 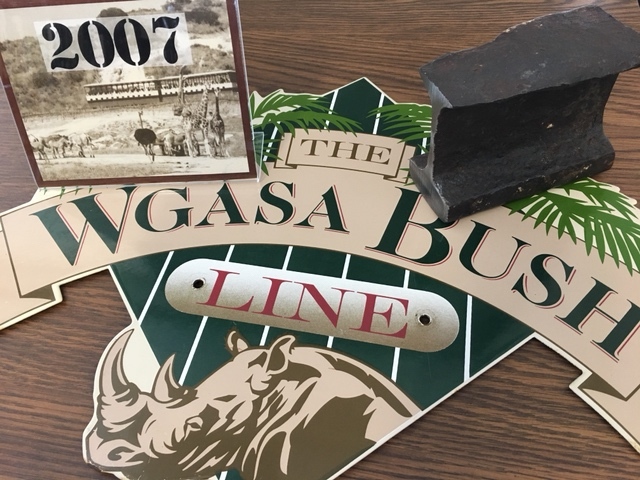 When they're not traveling, these items — and many more — enjoy a secure home in the SDZG Library's Archives. 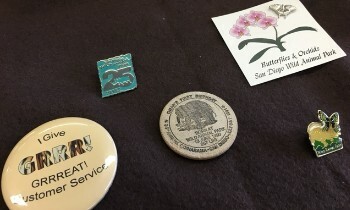 If you'd like a closer look, these items will be on display in the SDZG Library until April 27, 2018. Scores of wild species and ecosystems around the world face a variety of human-caused threats, from habitat destruction and fragmentation to rapid climate change. But there is hope, and it, too, comes in a most human form: zoos and aquariums. 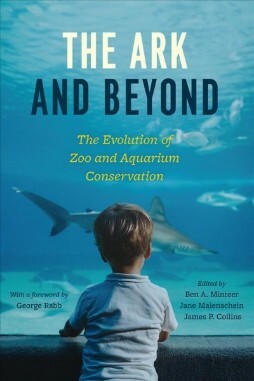 Gathering a diverse, multi-institutional collection of leading zoo and aquarium scientists as well as historians, philosophers, biologists, and social scientists, The Ark and Beyond traces the history and underscores the present role of these organizations as essential conservation actors. It also offers a framework for their future course, reaffirming that if zoos and aquariums make biodiversity conservation a top priority, these institutions can play a vital role in tackling conservation challenges of global magnitude. — Publisher. 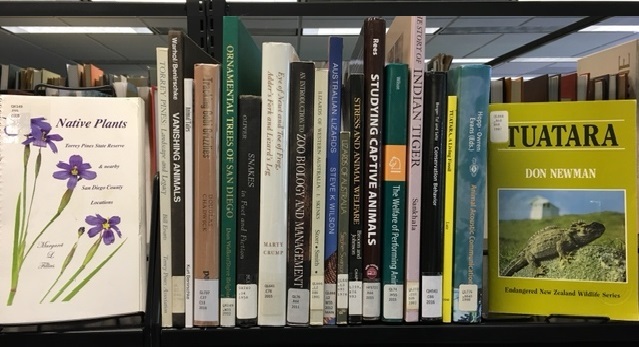 Our Recent Returns shelf gives insight into books and DVDs our colleagues are reading and watching at the Zoo, Park, and Institute. Here is a sample of recent SDZG staff publications. Do you have titles you'd like to add? Please send us your citations for the next newsletter! Ryder, O.A. 2018. Opportunities and challenges for conserving small populations: an emerging role for zoos in genetic rescue. Pages 255-266 in The Ark and Beyond: The Evolution of Zoo and Aquarium Conservation, B.A. Minteer, Jane Maienschein, and J.P. Collins, editors. University of Chicago Press, Chicago, Illinois. Tubbs, C.W. 2018. Advancing laboratory-based zoo research to enhance captive breeding of southern white rhinoceros. Pages 279-285 in The Ark and Beyond: The Evolution of Zoo and Aquarium Conservation, B.A. Minteer, Jane Maienschein, and J.P. Collins, editors. University of Chicago Press, Chicago, Illinois. 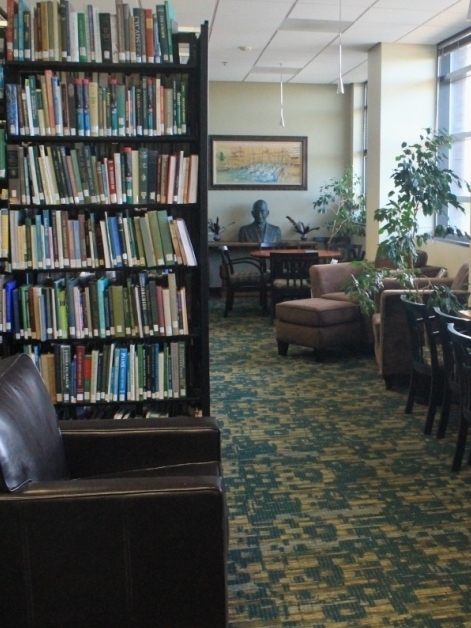 The San Diego Zoo Global Library is open to staff and volunteers. Please call before making a special trip, as we occasionally need to step out of the Library.